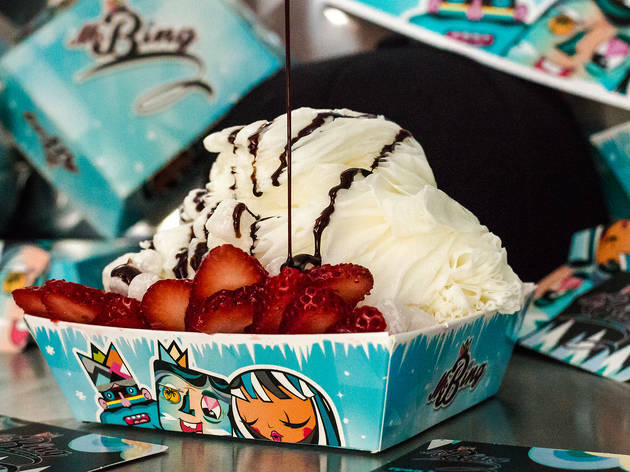 When it seemed that Miami would miss out on the popular shaved ice cream trend, Mr. Bing rolled in to save the city from dessert obscurity. But what is it exactly? 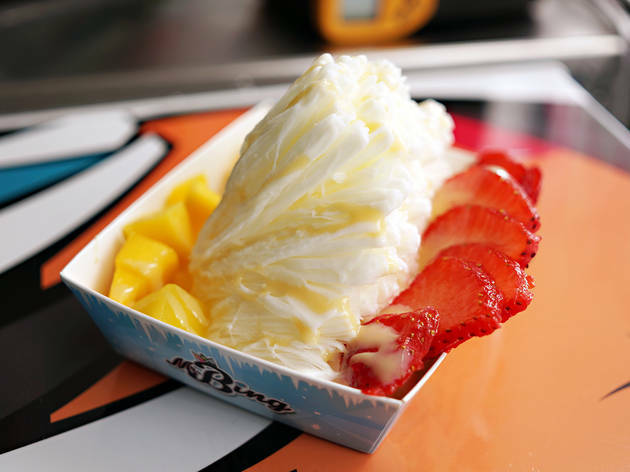 It’s ice cream you can eat with a fork, and it’s all the rage in Taiwan. To make it, Mr. Bing freezes cylindrical blocks of dairy and then shaves them down into paper-thin ribbons of frozen deliciousness. 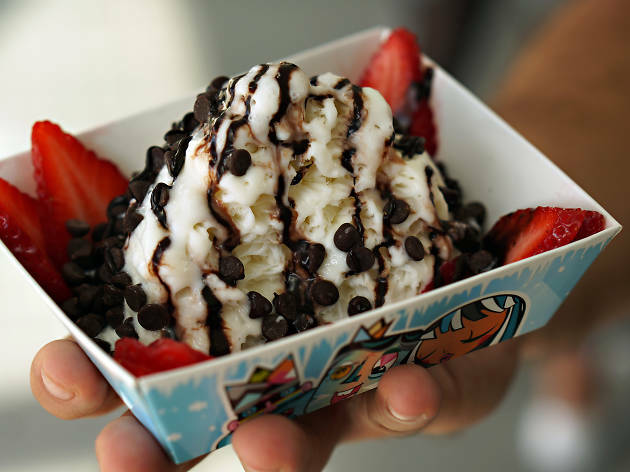 There are a variety of toppings and syrups that allow you to customize each creation. Enjoy one of the classic mixes, like the Cereal Killa with vanilla ice cream, strawberry drizzle and Lucky Charms cereal—or create your own. Don’t be afraid to try the taro ice cream either, it’s a fan favorite. The original Mr. Bing food truck remains parked inside the Wynwood Yard.